A recent patent filing surfaced on Mid-Engine Corvette Forum, and it would make sense for the C8 Corvette to get the active front splitter that the patent discusses. According to Motor1, there would actually be two splitters on the car. One would be a stationary splitter, and the other would be an electronically controlled adjustable splitter. The active splitter wouldn’t just move up and down. According to the patent, it would rotate, tilt, and move up and down. This range of motion will allow it to have the biggest positive impact on the car. This kind of technology will help increase downforce and reduce front end lift at high speeds. The images in the patent application appear to show the C7 Corvette with the engine at the front of the car, but we assume that’s just a ruse to throw people off the scent. 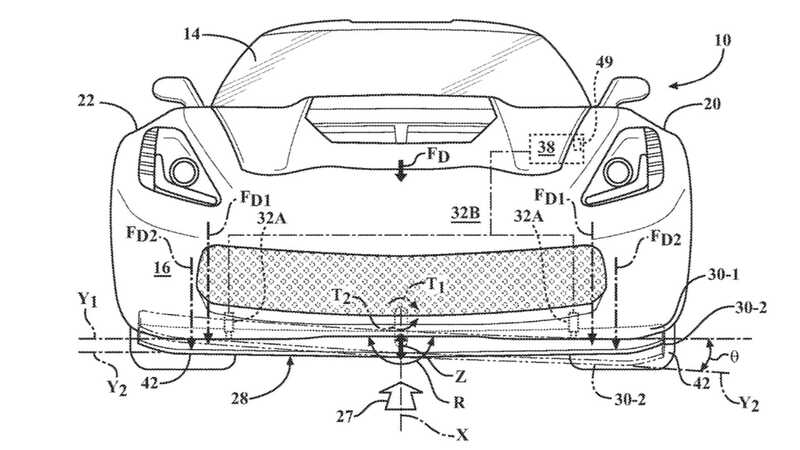 Any new aero technology and patents like this will likely be used on the upcoming C8 Corvette. Of course, there’s no guarantee that this will end up on the C8. 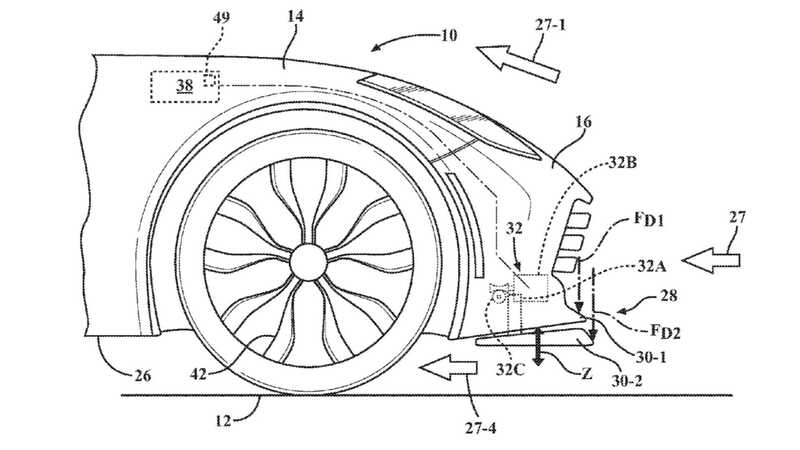 Just because the company filed a patent doesn’t mean it plans to put that technology on a production car. 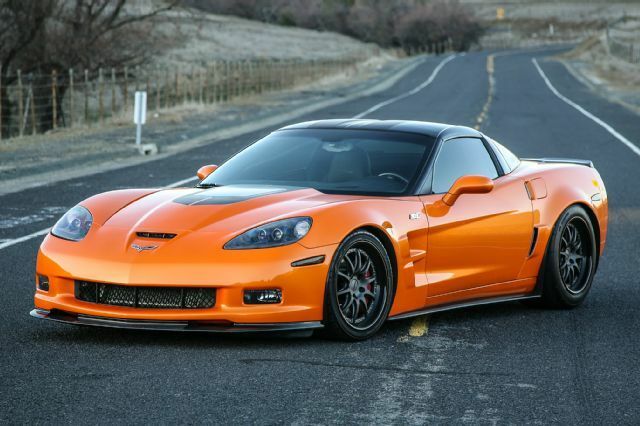 However, this is exactly the type of tech we’d expect on the upcoming C8 Corvette, especially on high trim level models. 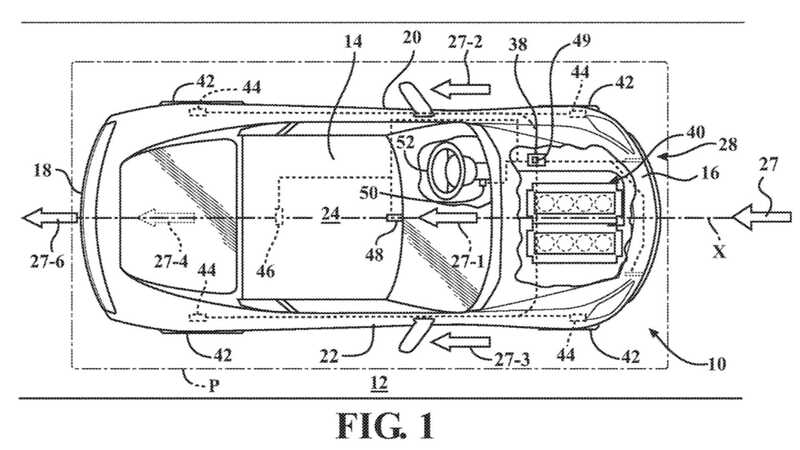 This isn’t the only patent application for the Corvette we’ve come across. Other patents have surfaced in the last few months and it would suggest that Chevy is looking into this type of technology considerably. 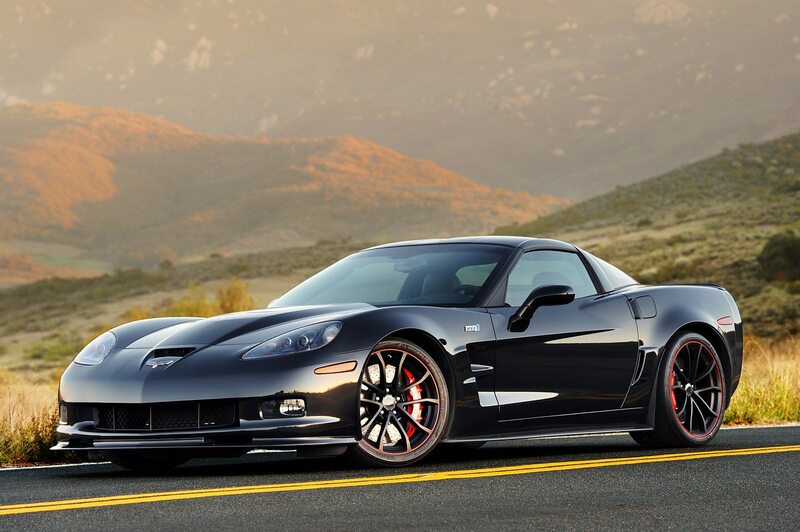 What will actually make it to the Corvette is yet to be seen.